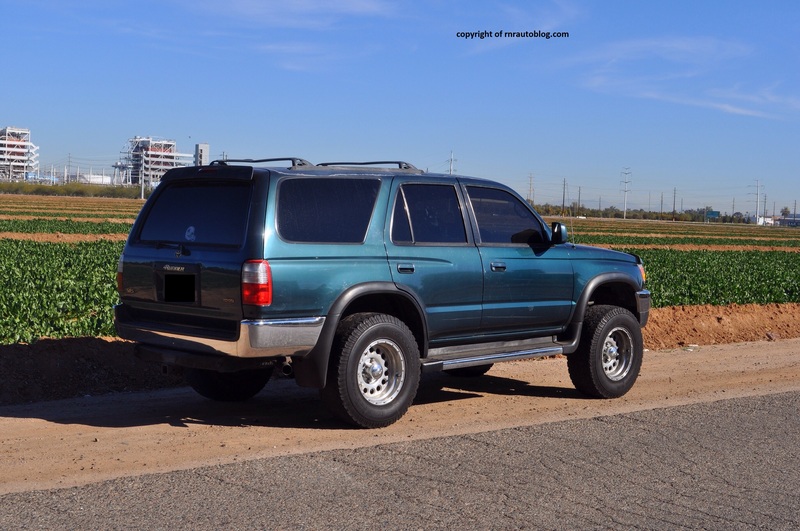 As a company known for its Corolla, Cressida, and Tercel, Toyota joined the SUV market with its 4Runner. It was based off their Toyota Pickup, and looked nothing more than a truck with a shell on the bed. 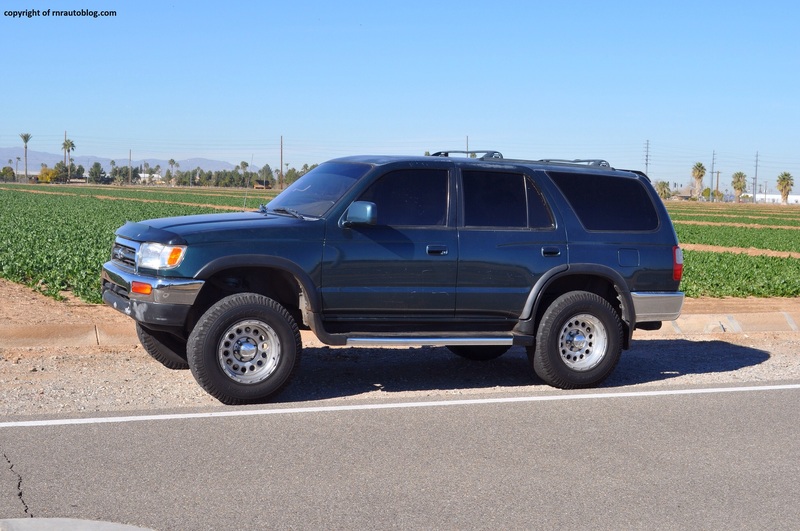 For the second generation, the 4Runner looked less than an altered pick up truck and more like an SUV. 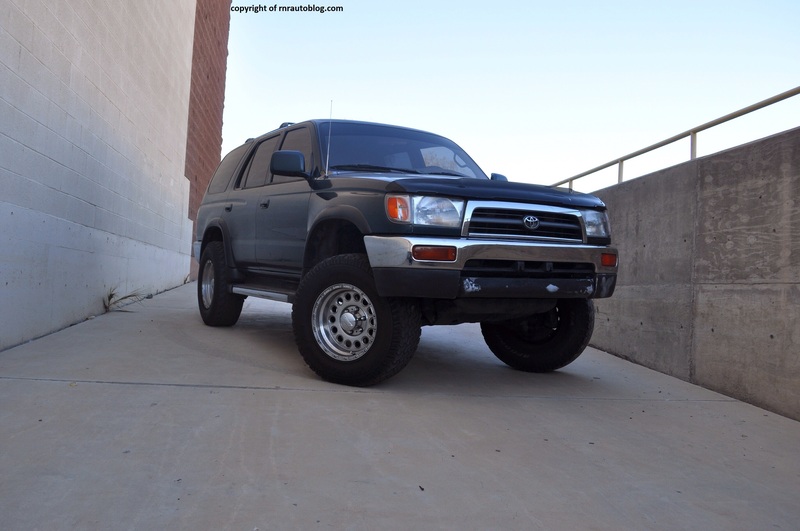 With the SUV market coming to fruition in the early 1990s’, the 4Runner was noteworthy for its go anywhere capability and reliability. 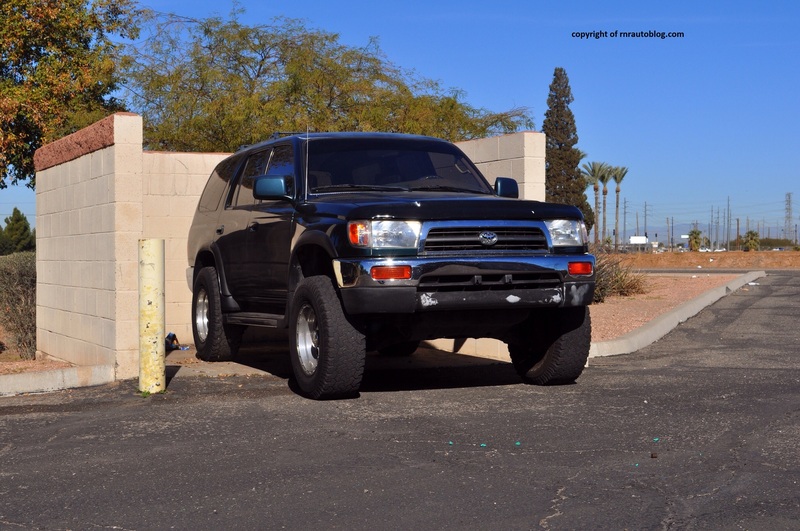 Then came the third generation 4Runner that you see here. It became more than a rugged SUV and placed more emphasis on its build quality and comfort while still capable off road. No doubt about it. The 4Runner certainly does eschew toughness. The design itself is very simplistic, with simple headlights and bumper design. This was back in the days when auto manufacturers used chrome bumpers on their SUVs and trucks in order to save costs. The side profile has some verve to it, with a distinguishing character line that runs from the rear and cuts off in the middle and resumes to the front. The rear is just as straightforward as the front. I judge the clean styling as a good thing, because it aged well over the years, and still looks great. The interior may have looked great back in 1997, but it looks outdated now. 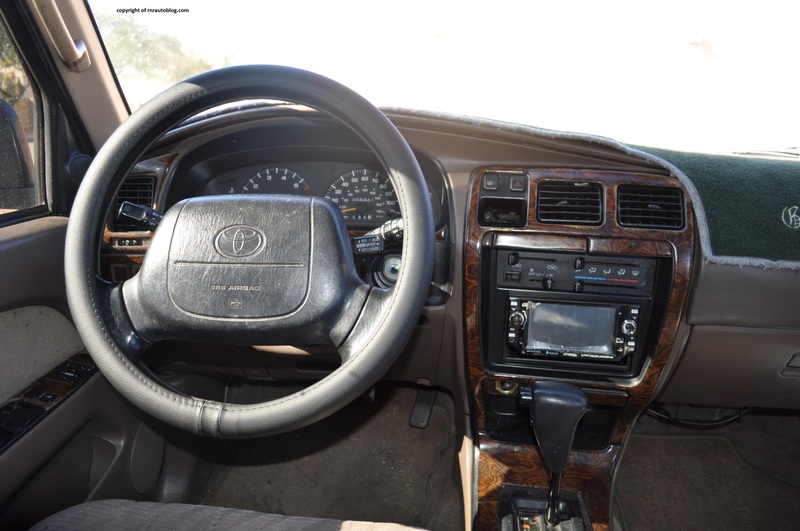 The wood trim is unappealing, and the steering wheel is oddly shaped. Driving the 4Runner feels like a blast from the past. The steering is a little bit on the heavy side, but it is responsive overall. It lacks road feel, and the overall handling is clumsy. Turn the wheel, and it takes a second to react and lumbers. Body lean could be better, as it makes you feel like you are going faster than you actually are when turning. The ride quality is jittery on all but the smooth roads. I do not know if this can be attributed to its age and mileage (208k miles) or its fundamentals, but the suspension bangs on speed bumps and poor road surfaces. The heart of the 4Runner is a 183 horsepower 3.4 liter V6. It does feels labored at times, but for the most part, it is flexible. There is enough pick up power to satisfy most people. The four speed automatic transmission shifts seamlessly. A five speed manual transmission was available in Base and SR5 trims. Refinement could be better. Road noise is constant, and the unaerodynamic (if that’s a word) body increases wind noise. The engine is boomy, and sounds crude when flooring it. The interior decor is strictly business. In Toyota fashion, everything is well assembled and fit and finish is immaculate. However, some plastics are hard and scratchy. Finding a good driving position is challenging, as the tilt and telescoping function for the wheel is illogically placed. The driver’s seat does not adjust for height (Not that I was aware of). With that said, visibility is decent, thanks to slim pillars and big windows. 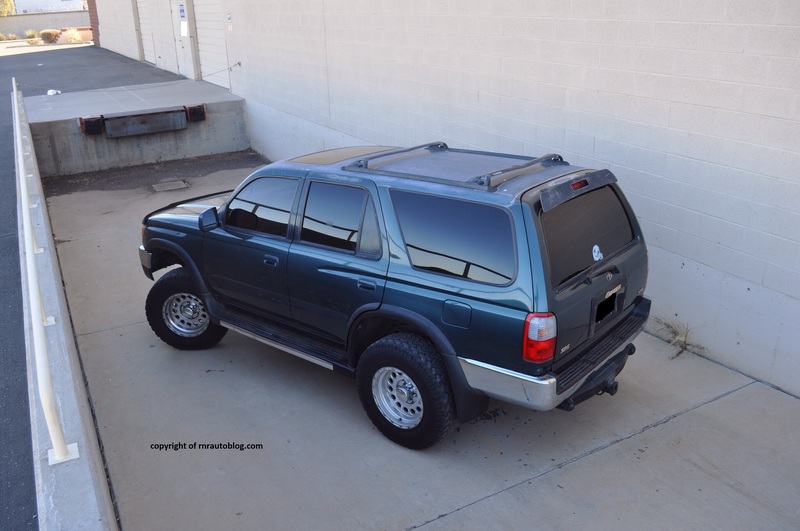 One feature that the 4Runners (The first generation Sequoia has this feature as well) always have had was the power rear window. It is a nifty feature in which you can lower the rear window down. The controls are intuitive and easy to master. When I say easy, it is remarkably easy. If you want to change the air conditioning mode or fan speed, all you do is push the button left or right. The cabin is roomy in both the front and the second row. The cargo space is spacious as well even though it’s affected slightly by the intruding rear wheel arches. 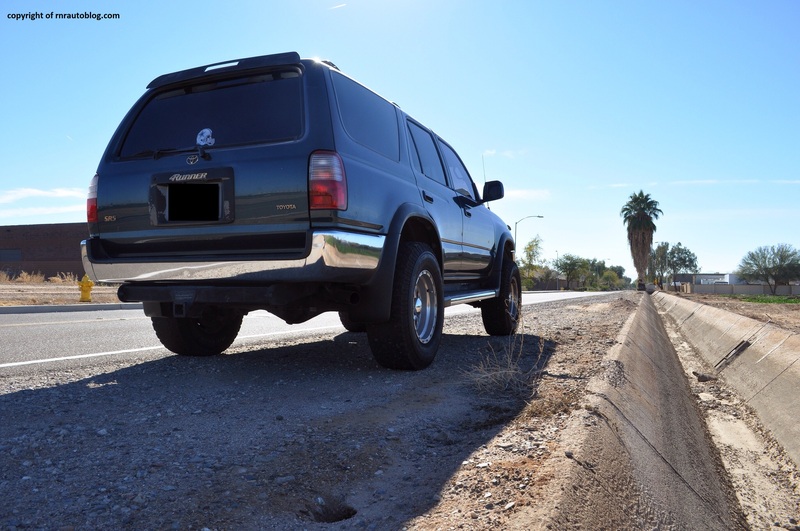 Despite its flaws, I enjoyed driving this SUV. 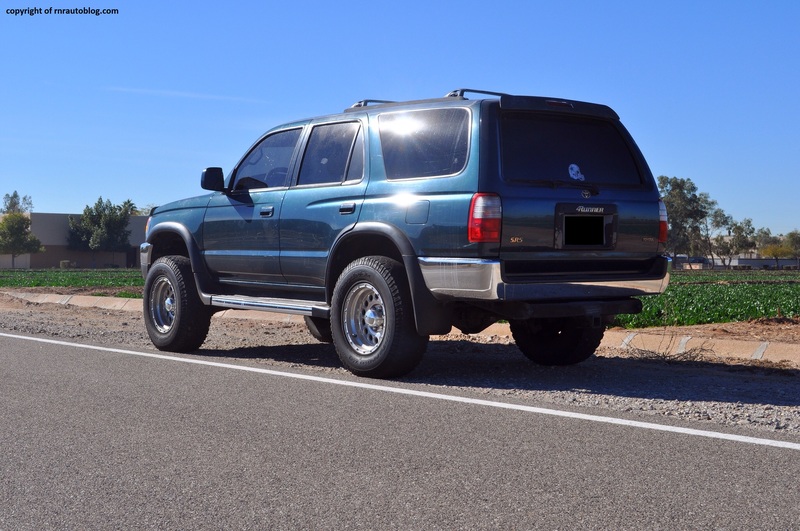 When I was much younger, I always had an idea of what my favorite car was (Remember, I was really young, and my favorite car changed all the time), and at one point, the 4Runner was my favorite car. 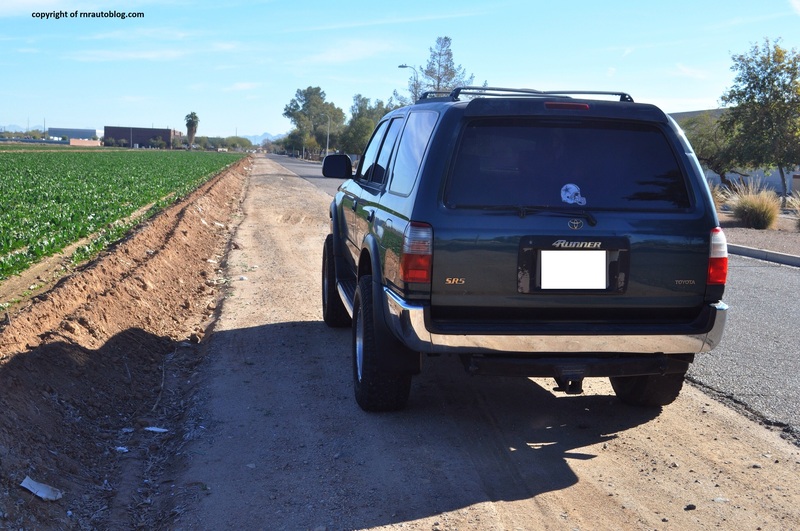 I remembered seeing the third generation 4Runner, and liking it because it was a Toyota and it looked tough. Did you know that when the third iteration of this came out, it increased sales by 50%? Driving this, I can see why. It embodies all the virtues of a Toyota in an appealing package. 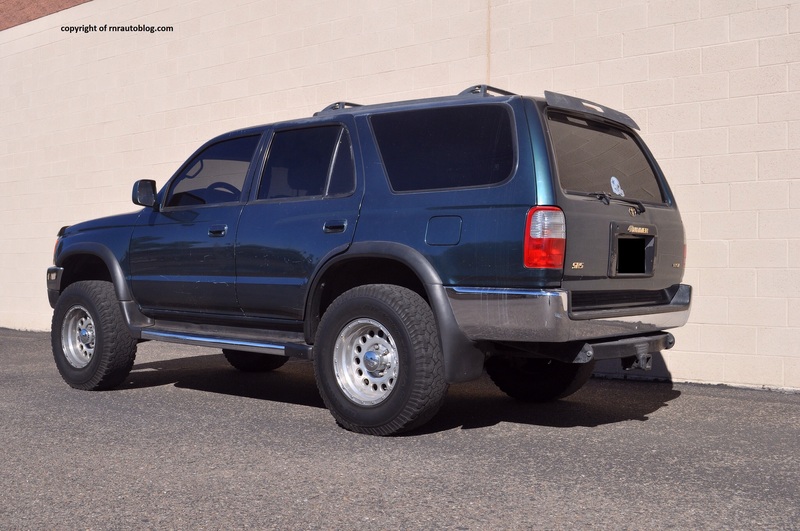 Sure, now it may seem unrefined and outdated, but back in the days, this was one of the best SUVs on the market. Looking at the current 4Runner which has ditched the clean styling of 4Runners looks like machine from a Transformer machine and not in a good way. On paper, it looks like it is still traditional, but I feel that the latest 4Runner has abandoned the purpose of 4Runners. 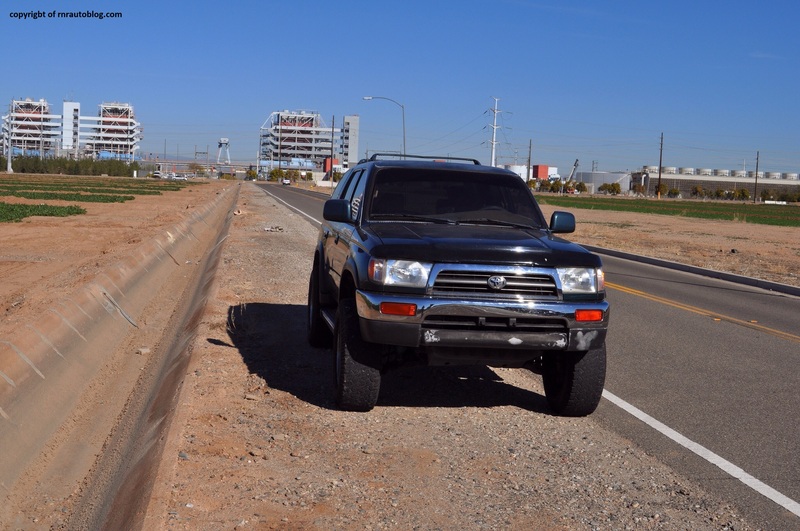 When you think of a 4Runner, you think of an affordable and honest SUV that has off roading capability. The latest may still have some off roading prowess, but it is not affordable and honest anymore. 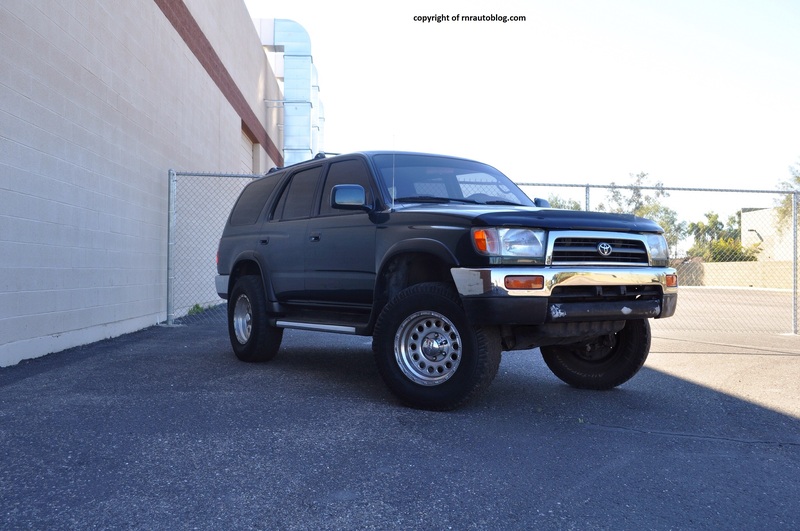 Now, it is a SUV that you get because it is a Toyota, not because it is a 4Runner. It is not a strong contender, or in this case, runner anymore.